I’ve been following this nonprofit marketing reality show carefully, because there’s so much to learn for all of us. And I’m impressed by the way the Memorial & Museum’s President and CEO, Joe Daniels, has responded each and every time. Here’s the thing—there’s just no winning this one. The Memorial & Museum is just the current focus of survivors, families, responders and others who care deeply about the lives lost, injured and forever changed by the terrorism of 9/11. Many of these folks are family members of those who died or were injured, but all of them are (understandably) grieving, angry and want to fight back. The Memorial Museum is the current focus of those very strong feelings, which is natural, but its an untenable position. What would you do? 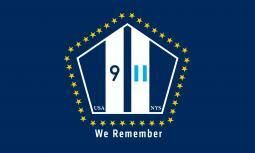 Focused on the value of the revenue initiatives in supporting the memory of and, in fact, honoring all victims of the 9/11 attacks. Speaks clearly, accessibly and succinctly, staying on message and on mission. Daniels continually emphasizes that the gift shop, restaurant and event hosting are necessary to sustain the Museum (and thus honor and respect the memory of those killed and injured). That without these revenue streams, there would be no Museum. Gotten the word out via multiple channels and formats, to reach people wherever they are touching the Museum. “’All net proceeds from our sales are dedicated to developing and sustaining” the museum, reads a notice at the store and online, where items are also sold. “Thank you for helping to build a lasting place for remembrance, reflection, and learning for years to come,”’ according to the New York Post. Kudos to Joe Daniels and team for anticipating, planning and training folks to respond productively to these tough charges. I can’t imagine him doing any better, but I bet some of you have good suggestions for the Museum and other organizations in this kind of “just-can’t-win” position. What would you do? Please share your ideas, recommendations and related experiences here. Thank you.